Gabe Higgs is originally from Chillicothe where he was a multi sport athlete and developed his game on hard and clay courts. He is a U.S.P.T.A. Elite professional, and also has earned a Specialist certification in Competitive Player Development. Gabe is certified by the USTA in High Performance Coaching and Sports Science. He is also an Etcheberry Certified Trainer. Gabe is the Director of Competitive Junior Program at RCC. He is in charge of tournament planning, competitive events, and fitness training program. Gabe currently coaches many of our highly ranked juniors and college performers. He has been involved in coaching many USTA Junior Teams for the Racquet Club. He helped lead multiple teams to the Midwest Championships in Indianapolis, and the 18s Advanced Team to the National Championships in 2010, 2011 (finished 3rd), and 2012. 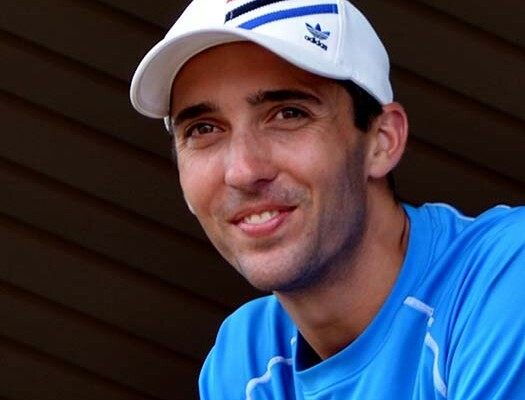 Gabe has been a USTA Competition Training Center Coach in Columbus for many years. Since becoming director of the junior program, the program has produced, 3 doubles state champions and a singles state champion. The program also had students win the Midwest Closed singles and doubles championships, National Bronze Balls, and multiple Midwest Sportsmanship awards. As a player, Gabe has won the Midwest Clay Court Doubles Championships, the Midwest Hardcourt Doubles Championships, and the Midwest Indoor. He finished 2011, ranked number 1 in the Midwest Section in Doubles. Before Coming to RCC, Gabe was the Assistant Head Professional at Bogue Banks Country Club in Pine Knoll Shores, North Carolina. Gabe received a Biology degree from Allegheny College and was honored as NCAC All-Conference in singles and doubles for 3 years. For his degree, he completed a senior comprehensive project involving sport speed training geared towards tennis, and it was used as a training program for the tennis team.